Pascual Andino. Nice hotel featuring rooms with a spacious bathroom and private terrace. You can book it here. La Casona. Restaurant with great steaks and wine. Tierra Todo Natural. Restaurant with meat and vegetarian dishes as well as 100% natural juices. Piedra Atacameña. Traditional restaurant with courtyard. It also provides sandwiches for take-away. 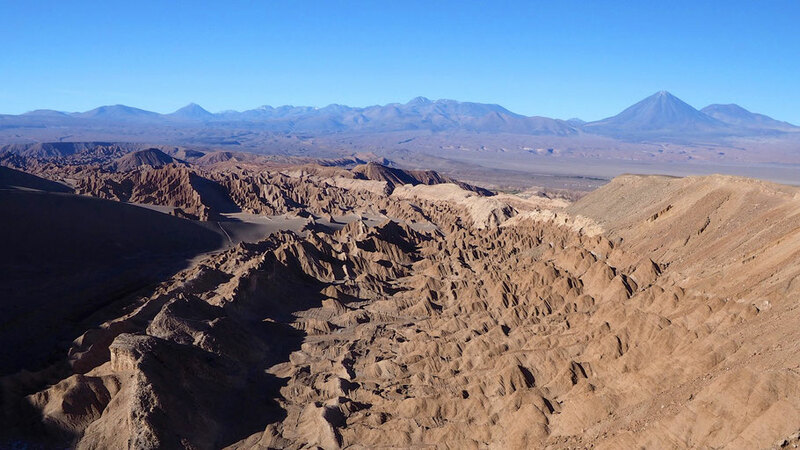 Visiting Valle de la Luna pretty much is a must. You can book group tours, e.g. with Colque Tours, that take you around famous sights like Valle de la Luna, Valle de la Muerte, salt mines and the "three Marias". Tours take around 4 hrs. Rent a bike and explore the area. The ruins of Pukara de Quitor are only a 20min. bike ride from the village. There you can hike up to a vantage point (Mirador). Shopping for souvenirs along the pedestrian alley Caracoles is very relaxed. If looking for cash machines: the pharmacies mostly have one inside.